A new class-action lawsuit alleges that low-cost carrier Spirit Airlines has duped consumers out of millions of dollars, presenting a so-called Passenger Usage Fee as a government-required charge rather than a profit-driving ancillary fee. Lawyers from the firm Podhurst Orseck say in a release that the airline "has intentionally and systematically targeted consumers with deceptive advertising and pricing practices for years." "It's an illusory fee," firm partner Kathy Ezell told The Huffington Post. "It's really a tack-on to the fare, it's to increase their profits and, under the DOT regulations, it should be disclosed so that the customers know what they're paying for the fare. Instead they have chosen to embed it with other fees that are either required or sanctioned by the government -- and they give it an innocuous name -- so that it sounds like one of the other fees." "Their excuse for charging the fee is to provide a website and phone service for passengers to purchase tickets and that's ludicrous," Ezell says. "You're not getting any good or service in exchange for the payment of that fee." According to the firm, as many as 5 million passengers might be eligible to join the class action, based on DOT passenger statistics and lawyers' estimates of passengers who would've paid the fee. "Spirit believes the claims are without merit and intends to defend the case," spokeswoman Misty Pinson told The Huffington Post in an email. Ezell counters that Spirit has historically and habitually been cited by the DOT over the Passenger Usage Fee and fined -- to the tune of $375,000 in September 2009, to give just one example. "They put it up and take it off periodically," Ezell says of the fee. "We don't know, but we think it's possible that they've made as much as $40 million in profit, so, yeah, they're happy to pay a $375,000 fine and just continue the practice." The suit comes at a time when government regulators are moving to clarify ticket prices -- and airlines rake in billions of dollars in ancillary fees for services like checked baggage and seat selection. In March, Spirit CEO Ben Baldanza defended his company's practices in a blog post on The Huffington Post entitled "Federal Transparency Rules Are Bad For Travelers." In the post, Baldanza writes, "The DOT has good intentions for the public, but on these issues they simply misfired. Many who oppose our view have no real concern to keep fares low for ordinary consumers, but are looking out for large corporate interests." He also writes that "[Spirit's] optional pricing structure has saved customers millions by allowing them to pay only for what they want. Many fly Spirit who could not afford to fly on other airlines -- and our 'optional pricing' model creates this opportunity." It's not the first legal challenge over fees for the carrier this year, which was hit in March with a suit alleging that its $2 "unintended consequences" fee -- so named because it was blamed on new DOT regulations -- was illegal under Illinois consumer protection laws. The plaintiff in that case said the fee was "nothing more than a profit-generating device." The latest case was filed in United States District Court for the Southern District of Florida. Spirit is headquartered in Miramar, Florida, near Miami. 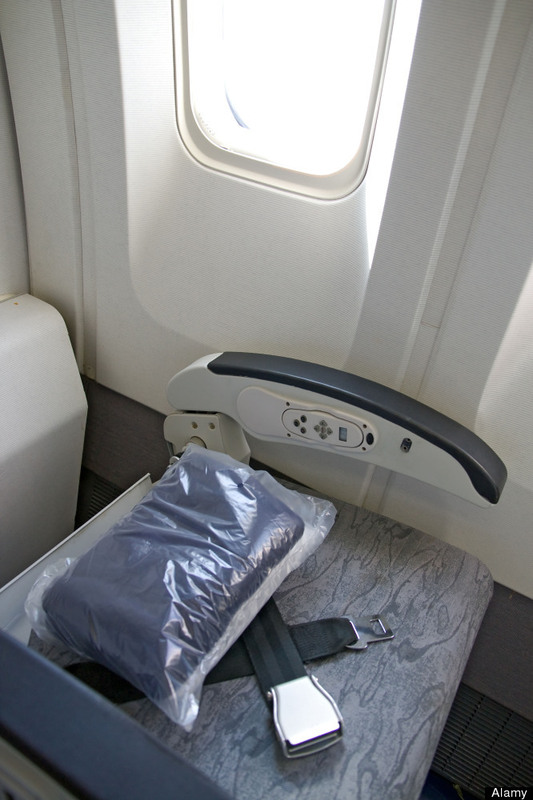 Back in 2010, American Airlines <a href="https://www.huffpost.com/entry/american-airlines-to-char_n_454109" target="_hplink">started charging $8 for blankets</a>.